A mother of four grown boys, I look forward to joining the team at Campus Estates Animal hospital. I bring my many years of customer service experience along with my love of animals and my compassion for helping people. I enjoy everything outdoors; exploring and running the many trails throughout Guelph, cycling our city streets or keeping pace on the ball hockey rink as well as surrounding myself with the joy of family and friends. The lure of a good book or a relaxing game of solitaire is where I like to complete my day. 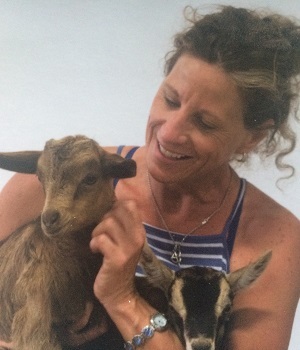 My dream – to have my own little hobby farm complete with favorite of course….goats!